Nice and comfortable. Good location near the station. You had a space available when we couldn't find anything at a reasonable price in a better location. Coffee was great. Staff were very friendly. Location of the hotel is very close to public transportation. Worst hotel ever staff are the rudest people I've met ever. I think getting to the hotel from Schipol is a little difficult and it might be helpful to consider a Holiday Inn controlled shuttle - perhaps connected to 2 or 3 Holiday Inn or IHG properties. Cost is a little higher here than I think it should be. 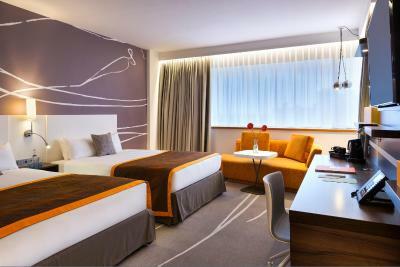 Holiday Inn Amsterdam This rating is a reflection of how the property compares to the industry standard when it comes to price, facilities and services available. It's based on a self-evaluation by the property. Use this rating to help choose your stay! 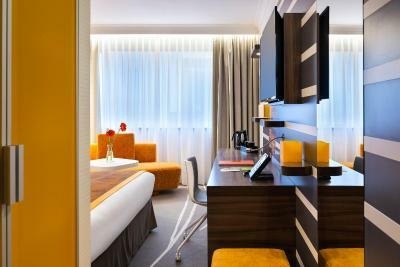 Holiday Inn Amsterdam Hotel provides accommodations with free WiFi, located 12 minutes from Schiphol Airport and a 15-minute metro ride from Dam Square. Guests can enjoy the on-site lounge bar, restaurant and fitness center. It is a 15-minute walk to Amsterdam RAI Exhibition and Convention Center, World Trade Center and Zuidas business district. 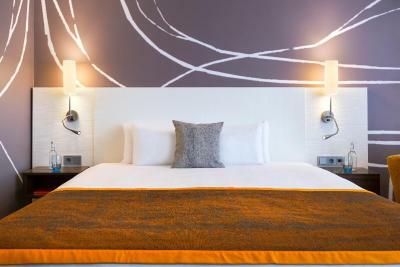 The 264 spacious and light hotel rooms include newly refurbished standard and executive rooms with city views. The hotel has 11 meeting rooms with natural daylight for events and conferences for up to 450 people. Guests can enjoy a cup of Starbucks coffee in the Open Lobby Bar, followed by a freshly made meal from the all day dining menu in the Open Lobby Restaurant. Staff can assist with renting a bicycle or book a guided tour through the canals. The fitness center is open 24-hours and Amstelpark is across the street. 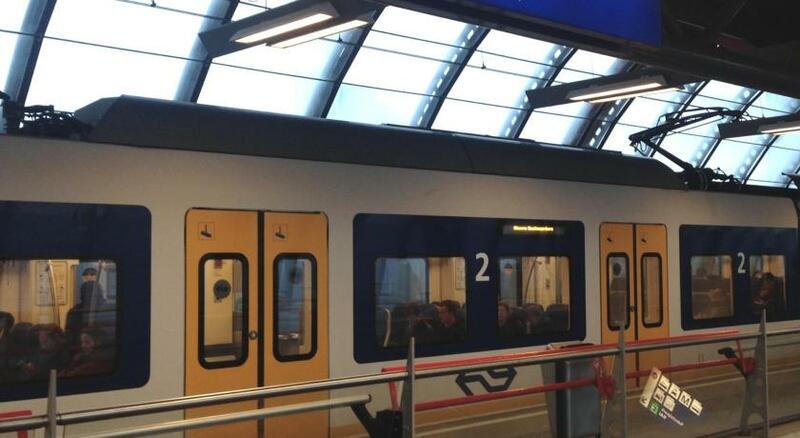 From the hotel, Anne Frank House, Rijksmuseum and Concertgebouw can be reached by metro, tram or a 15-minute taxi ride. Public transport stations are steps away and the A10 highway is a 2-minute drive from the hotel. Zuideramstel is a great choice for travelers interested in convenient public transportation, shopping and old-town exploration. 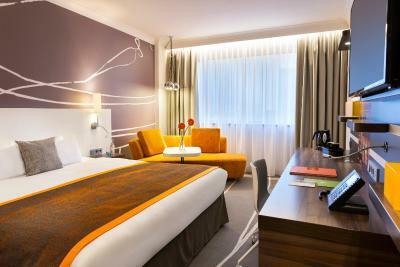 When would you like to stay at Holiday Inn Amsterdam? This Standard Room has free high speed wireless internet. 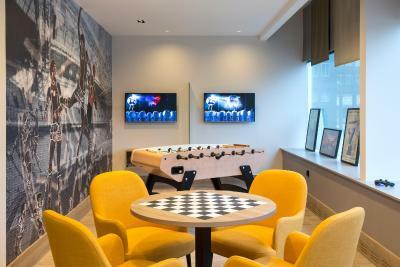 Enjoy complimentary tea and coffee facilities, as well as a flat screen TV with up to 100 channels. The bathroom is fitted with a bath and shower and complimentary toiletries are provided. 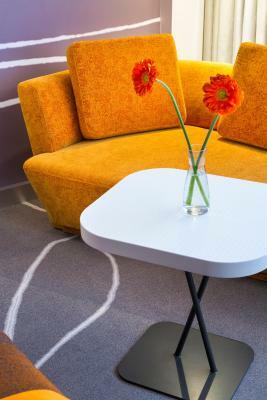 This air-conditioned Standard Room with two double beds offers free high speed wireless internet. Enjoy complimentary tea and coffee facilities, as well as a flat-screen TV with up to 100 channels. The bathroom is fitted with a bath and shower and complimentary toiletries are provided. 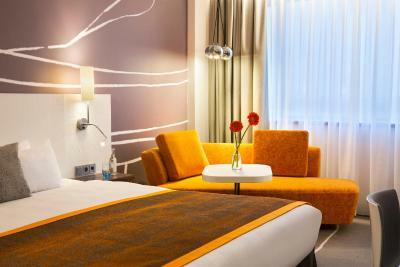 Located on the upper floors, the fully renovated Executive Rooms offer views over the city or leafy Amstelpark. The room is fitted with a super-king size bed, spacious and luxurious walk in shower and includes a complimentary bottle of water, free high speed Wi-Fi and a flat-screen TV with up to 100 channels. 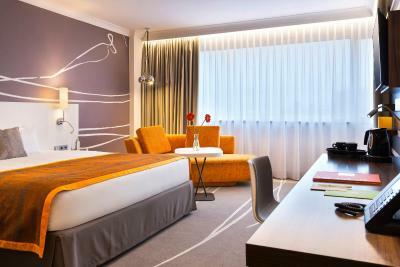 Located on the top floors, the fully renovated extra large Executive Corner Rooms offer views over the city or leafy Amstelpark. The room is fitted with a super-king size bed, spacious and luxurious walk in shower or hot tub and includes a complimentary bottle of water, free high speed Wi-Fi and a flat-screen TV with up to 100 channels. 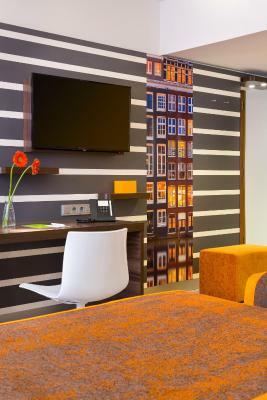 Located on the top floors, the fully renovated extra large Executive Corner Rooms offer views over the city or leafy Amstelpark. The room is fitted with two double beds, spacious and luxurious walk in shower and includes a complimentary bottle of water, free high speed Wi-Fi and a flat-screen TV with up to 100 channels. Enjoy park or city views from the balcony of your 15th floor Junior Suite. This large room with super-king size bed includes free high speed Wi-Fi, coffee and tea making facilities, mini-bar, complimentary bottle of water, bathrobe and flat-screen TV with up to 100 channels. Enjoy park or city views from the balcony of your 15th floor Executive Suite. This large room with super-king size bed and separate seating area includes free high speed Wi-Fi, coffee and tea making facilities, mini-bar, complimentary bottle of water, bathrobe and flat-screen TV with up to 100 channels. 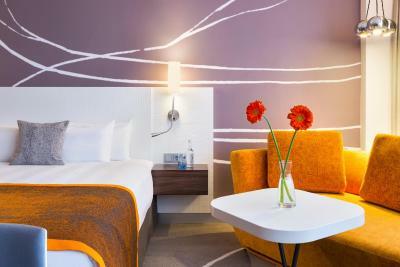 This spacious air-conditioned Standard Corner Room with super-king size bed offers free high speed wireless internet. Enjoy complimentary tea and coffee facilities, as well as a flat screen TV with up to 100 channels. 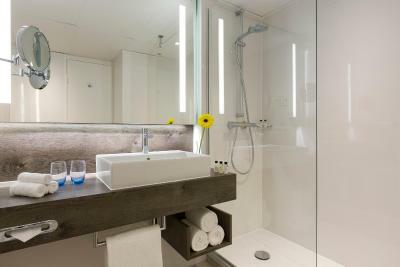 The bathroom is fitted with a bath and shower and complimentary toiletries are provided. 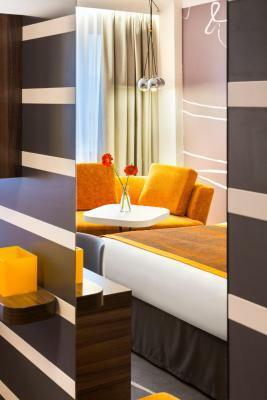 This spacious air-conditioned Standard Corner Room with two double beds has free high speed wireless internet. 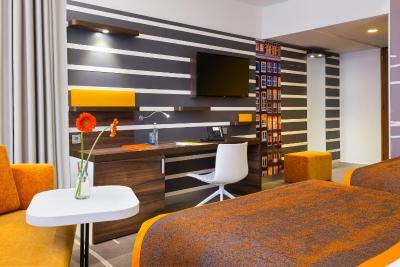 Enjoy complimentary tea and coffee facilities, as well as a flat screen TV with up to 100 channels. The bathroom is fitted with a bath and shower and complimentary toiletries are provided. 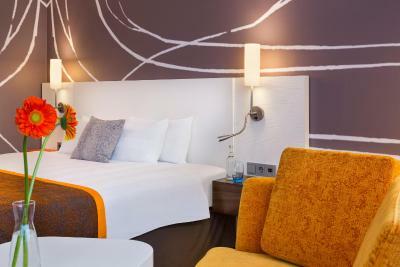 This air-conditioned Standard Room with super-king size bed offers free high speed wireless internet. 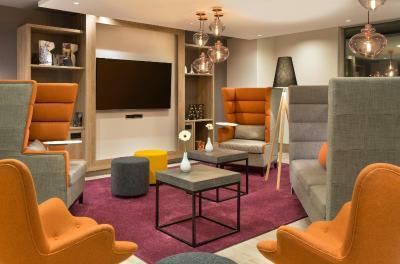 Enjoy complimentary tea and coffee facilities, as well as a flat screen TV with up to 100 channels. 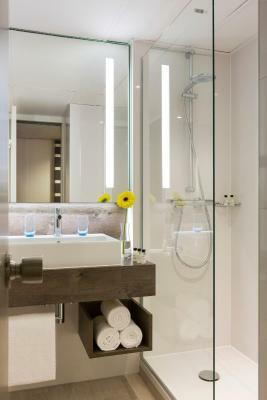 The bathroom is fitted with a bath and shower and complimentary toiletries are provided. 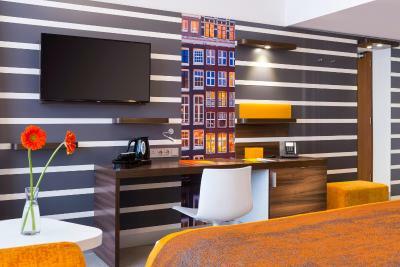 Why not enjoy one of our newly renovated Executive rooms with slendid views over the city of Amsterdam. Our friendly staff is always on hand, whether you wish to rent a bicycle or book a canal tour. Still have energy to burn? The Fitness Centre is open 24-hrs and the Amstelpark – one of Amsterdam's most beautiful green spaces – is just across the street. 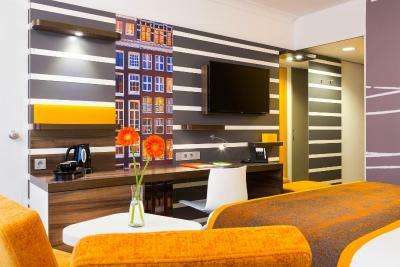 House Rules Holiday Inn Amsterdam takes special requests – add in the next step! ATM card Cash Holiday Inn Amsterdam accepts these cards and reserves the right to temporarily hold an amount prior to arrival. Holiday Inn Amsterdam accepts these cards and reserves the right to temporarily hold an amount prior to arrival. Children up to 11 years old can enjoy complimentary breakfast when they have breakfast together with the parents. Please note that a maximum of 2 pets per room are allowed at a surcharge of EUR 15 per pet per night. Price level. Parking 30 euro a day. We had 2 nights and paid 60 euro for not using our car in the City. Great place for a visit to Amsterdam. Tram + Metro 5 min walk from hotel. The bed was uncomfortable. Restaurant staff was grumpy. The food & cocktails were tasty. There are three elevators and one didn’t work properly. You have to wait 5 minutes in order to go up or down. The building is from 1969 and it seems that nobody did renovation for a long period of time. Everything (rooms, bathroom and so on) is so old and not convenient. The guy at bar is arrogant and you can see that he is not happy with his life. The location is near the station. It's very convenient. A bath is grey while it should be white. It is the same in other rooms. Room was a bit old. 2 lamps broken. The fan (not airco) made a lot of noice. The balkony (executive room) was very dirty with 40 cigarettes laying around. The thing I would is that they don't say all the ingredients on the menu for the food. Water only seved on the first day after that you have to buy it. The rooms were not what I paid for, the staffs were impatient and gave no reasonable explanation. since they did not have a king/queen bed in standard room we were forced to upgrade at a surcharge !!? Ideally they should have done it free of charge. Nice hotel very near to a metro station. Clean rooms and reasonable breakfast.